Cauliflower mash, chicken parmesan, mango lassi and a little bit of sushi. My escapades in the kitchen continues! 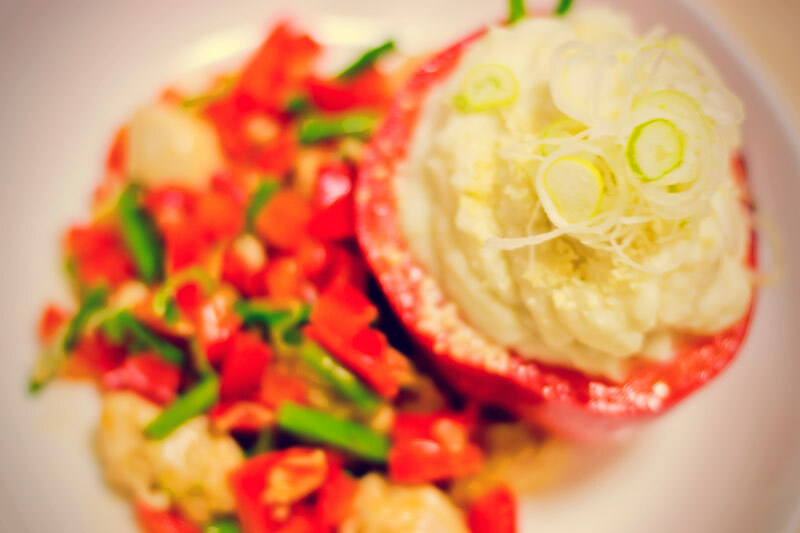 Above, cauliflower mash and chicken Parmesan. It is super easy to make. 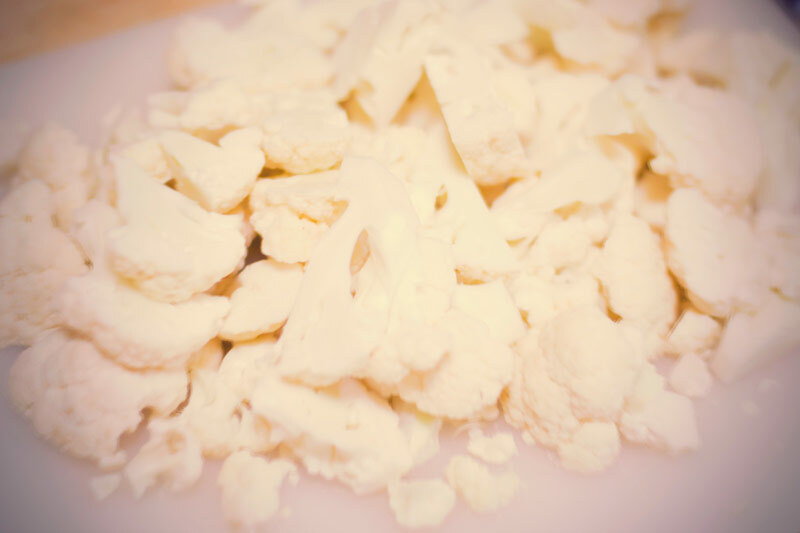 Boil cauliflower until it is soft, remove it from the water, and while it is still hot you puree the cauliflower together with salt, pepper and a lot of butter, and you are done! 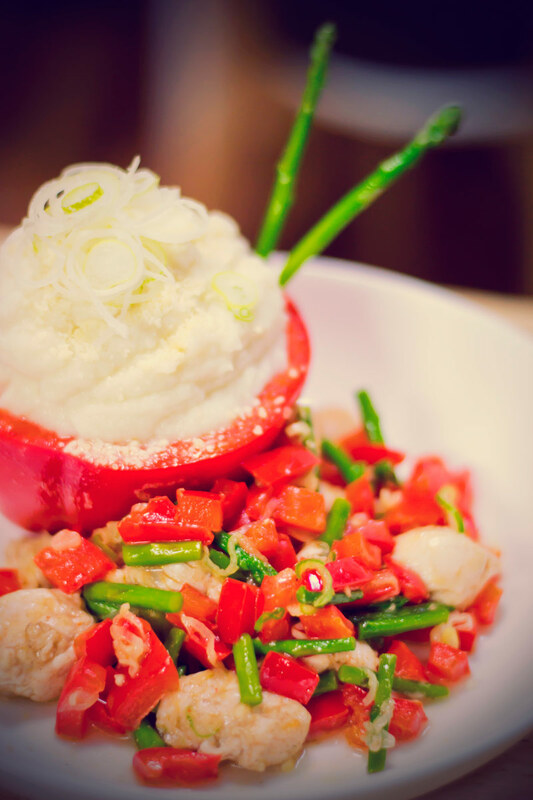 The chicken part of the dish is just as easy. Fry up lots of bell peppers (cut into squares) in a pan together with chicken, a little bit of leak and baby asparagus. I wanted a richer taste for this dish, so I fried it all up with butter instead of olive oil. Drizzle a bit of powdered Parmesan cheese over the veggies and chicken, and fry it all together in the pan for the last minute or so, and it is all done! 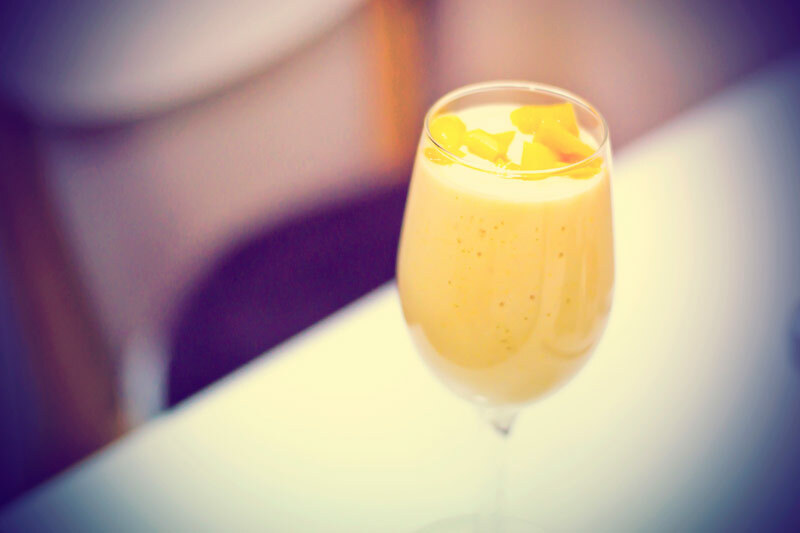 Mango lassi: cut up one yellow mango and puree it together with natural yogurt. Toss in a couple of chunks of mango before serving. Super yummy! Ok, I didn’t make the sushi in the picture above. 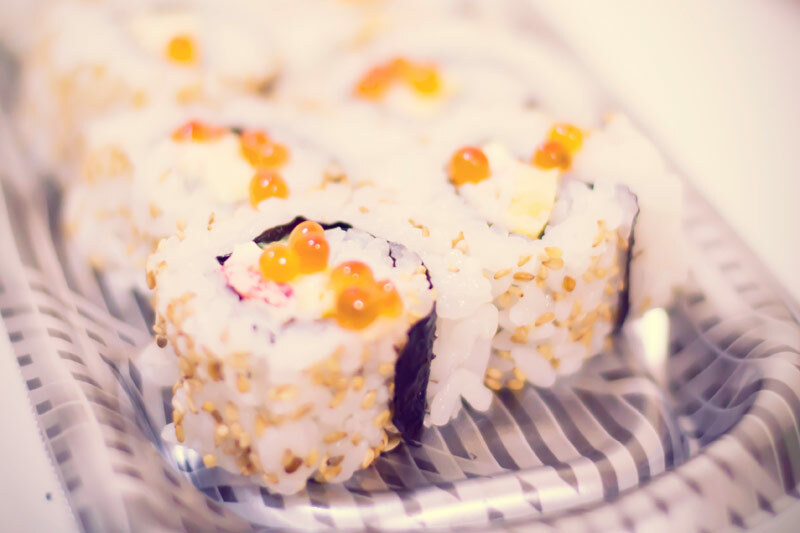 I just love taking pictures of sushi. 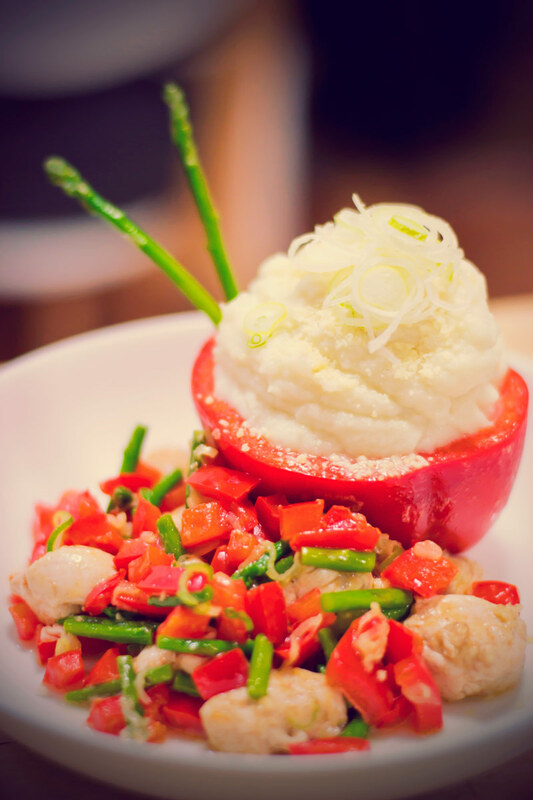 I thought it would be cute to use half of the bell pepper as a container for the cauliflower mash. I fried the bell-pepper-cups a bit on the frying pan before putting them on the plate. I just discovered your blog and it’s definitely making me hungry! Haha, I hope that isn’t a bad thing! And hello to you, thank you for stopping by!